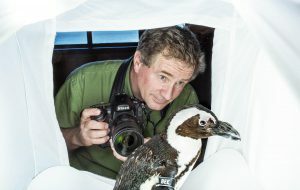 Editor’s Update: A three-part documentary Rare: Creatures of the Photo Ark, with photographer and conservationist Joel Sartore, will broadcast July 18, July 25 and August 1, 2017, on PBS stations throughout the US. Sartore created the Photo Ark project in 2005. Internationally, the series airs on the National Geographic Channel in September. 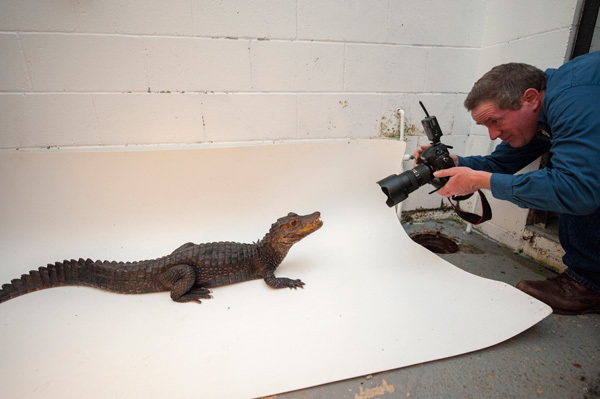 Read about Joel Sartore and the Photo Ark (below). 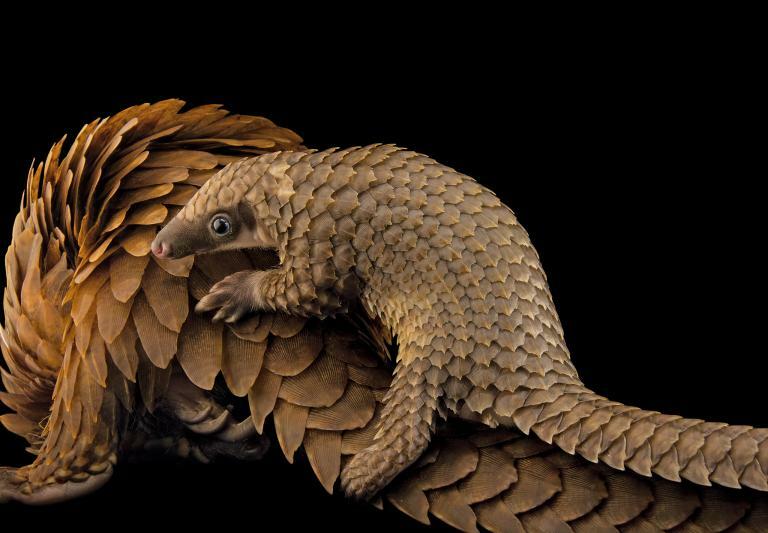 Three renowned photographers who’ve captured nature on every continent over the past thirty years-– Frans Lanting, Joel Sartore, and Brian Skerry – have logged tens of thousands of hours documenting the beautiful, the rarely seen, and the endangered on our planet. 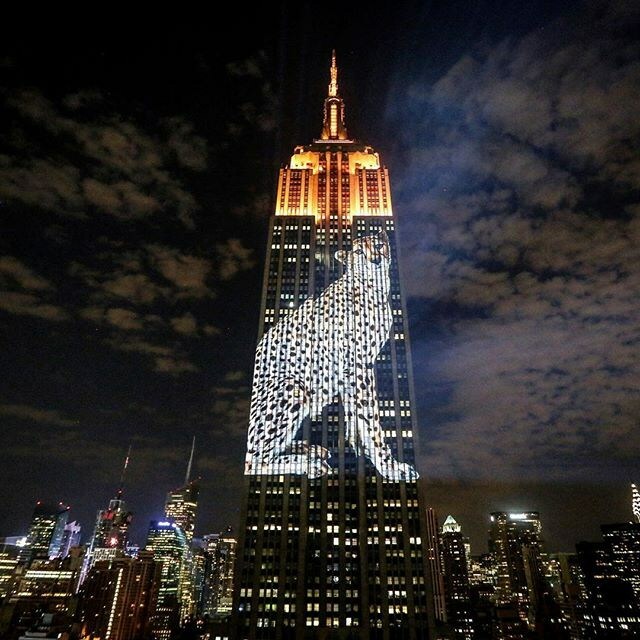 This year, all three are engaged in projects — exhibitions, books, public events, broadcasts– to share their artistic ability and fierce sense of urgency for conservation with a much wider audience. Our three-part article series leads you to videos, TED talks, books, exhibitions and broadcasts. Plus you can review their portfolios and buy prints. 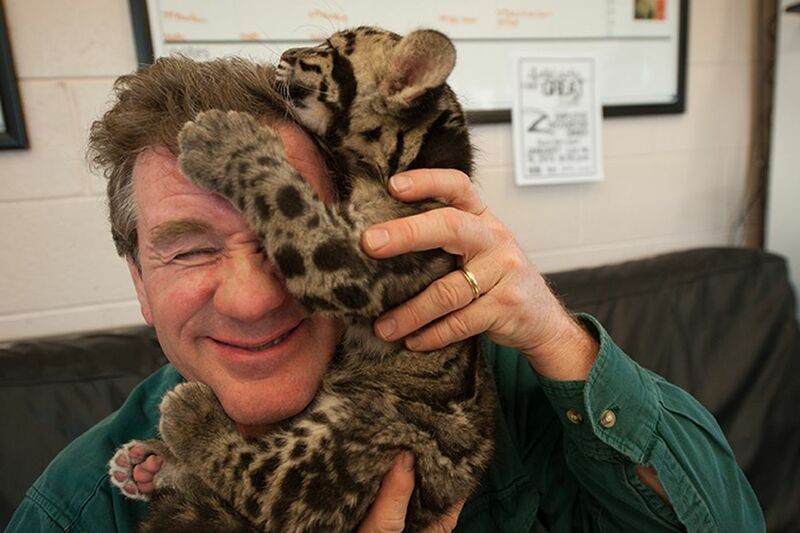 National Geographic Fellow Joel Sartore is so much fun to listen to, you’re surprised at how compelling and personal he is about the loss of biodiversity, the threats of extinction, and what he wants people to do: pay attention. Perhaps it’s because he is a native Nebraskan with an easygoing style — don’t be deceived. Sartore is on a 25-year worldwide mission. “The whole goal of my life,” he says, “is to get people to care about species while we can still save them.” Sartore has traveled to 40 countries in search of nature and wildlife photographs for the National Geographic where he is a contributing photographer. That means finding the right shot to make clear what happens when Uganda’s agriculture bumps up against a wildlife reserve with a hungry lion population; or how many koalas –45 laid out neatly on a mat including a mom curled up with her baby— were killed by domestic dogs, because development has converted their habitat into roads and subdivisions. As for extinction, he is painfully aware that half of all species on Earth may be gone by the end of the this century! 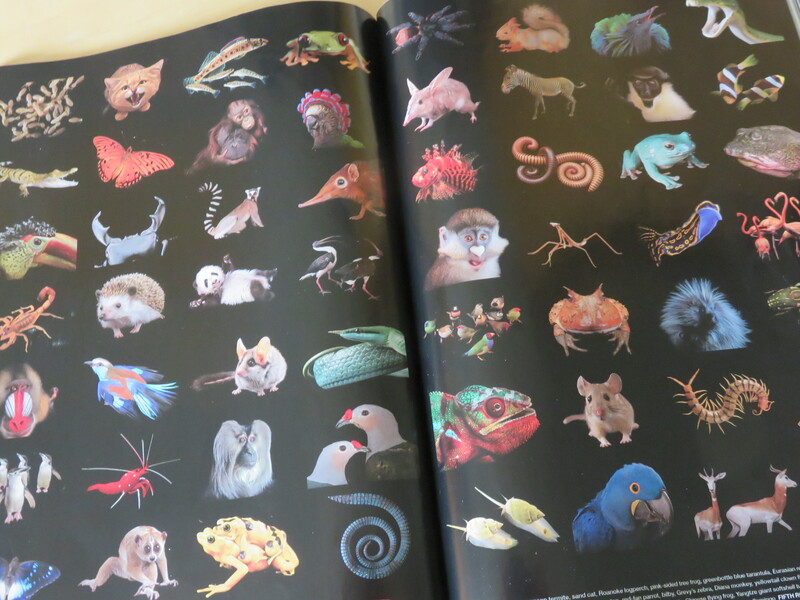 Photo spread in National Geographic (April 2016) shows a fraction of the thousands of species that have “sat” for portraits in the Photo Ark. Not for a minute should you doubt his resolve: The Photo Ark isn’t intended as a photographic archive once all of these species have gone extinct. “I want the pictures to work long after I’m dead,” he says in a 2016 National Geo story. A naked mole rat (Heterocephalus glaber) at the Lincoln Children’s Zoo. Photograph copyright Joel Sartore/National Geographic Photo Ark. 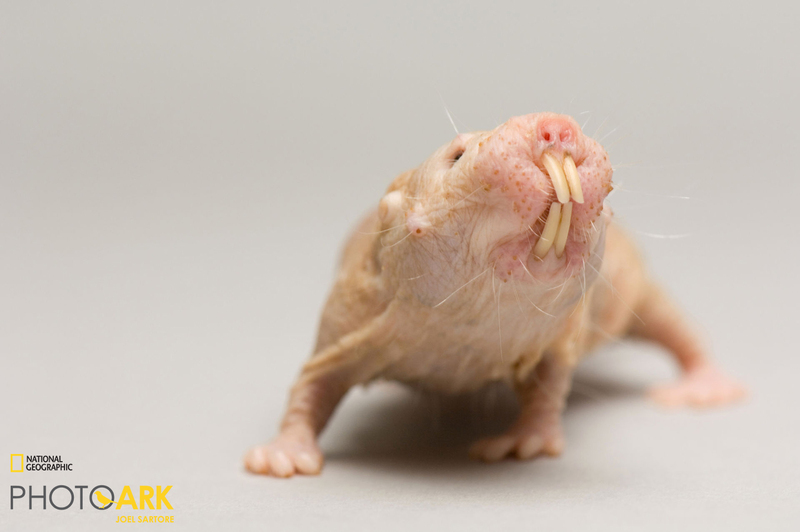 The naked mole rat – the first to be photographed for the Photo Ark – proved to be a personal epiphany. Think in Biblical terms (“and the last shall be first”): this tiny creature represents what a lot of biodiversity is about: millions of seemingly inconsequential insects, birds, reptiles, amphibians. 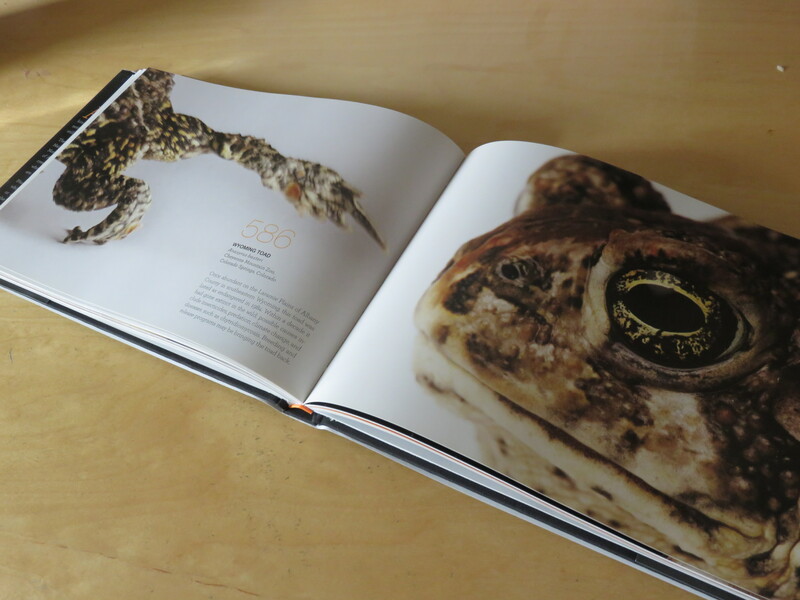 Many of the animals he’s already documented people might walk by and never take note. Passenger Pigeon painting by Walton Ford. Courtesy of the artist. The passenger pigeon went from billions to complete extinction in less than half a century. Not Joel! One of his most compelling memories – from a bird book his mother gave him as a boy—depicted bird extinctions. He was captivated by the image of Martha, the world’s last passenger pigeon, the only one left after billions were killed as foodstuffs to be shipped around the US in barrels. He says he returned to that page many times! 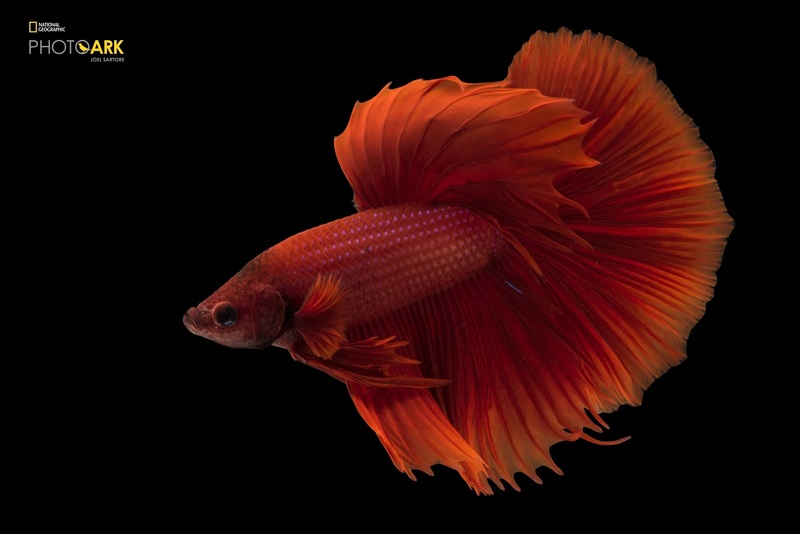 Siamese fighting fish or betta (Betta splendens) in Lincoln, Nebraska. Copyright Joel Sartore/National Geographic Photo Ark. Sartore is usually up close and personal when he is shooting at zoos and nature reserves. It’s a specially prepared one-on-one setting. Whether it’s a rhino or a marine bird, all portraits are on a black or white backdrop paper or painted surface, the great equalizer, as he calls it. “The polar bear is no more important than a mouse, and a tiger and a tiger beetle are exactly the same,” he says. 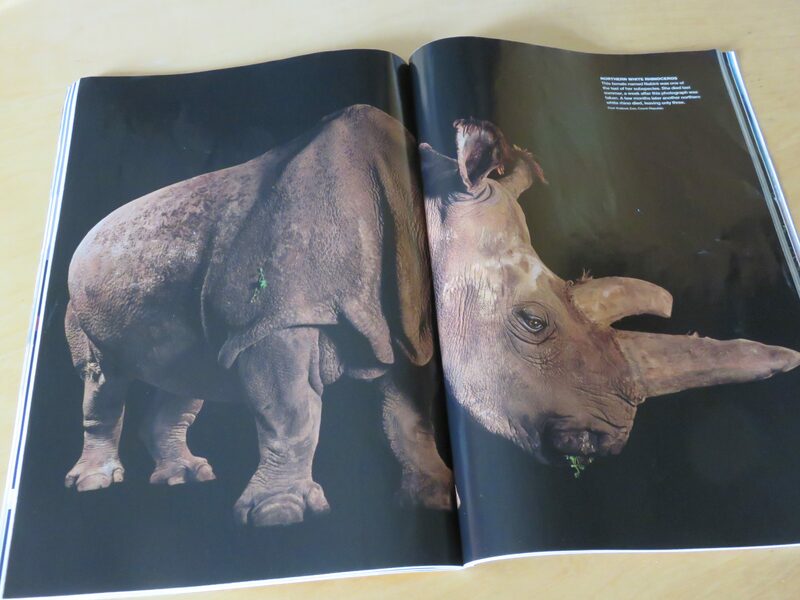 A week after Sartore took this portrait of Nabire, a northern white rhino, she was dead; then several months later another died, leaving only three of this subspecies remaining on the planet. Courtesy of National Geographic April 2016 issue. 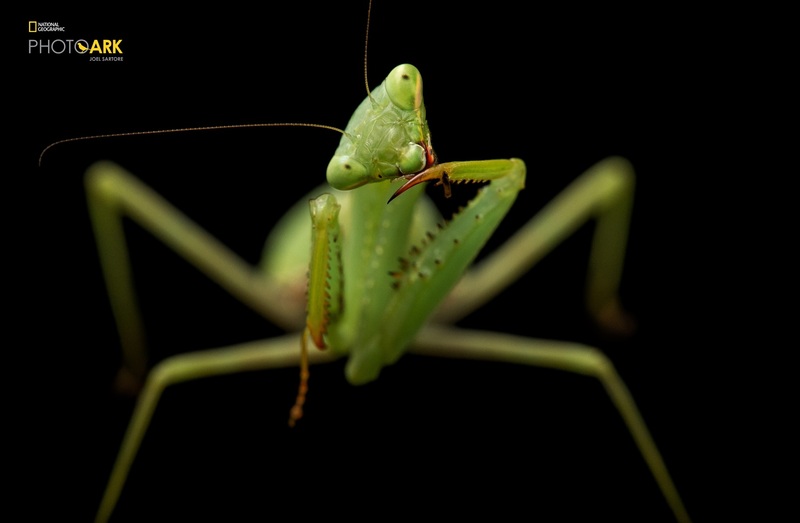 A springbok mantis (Miomantis caffra) at the Auckland Zoo. Copyright Joel Sartore/National Geographic Photo Ark. 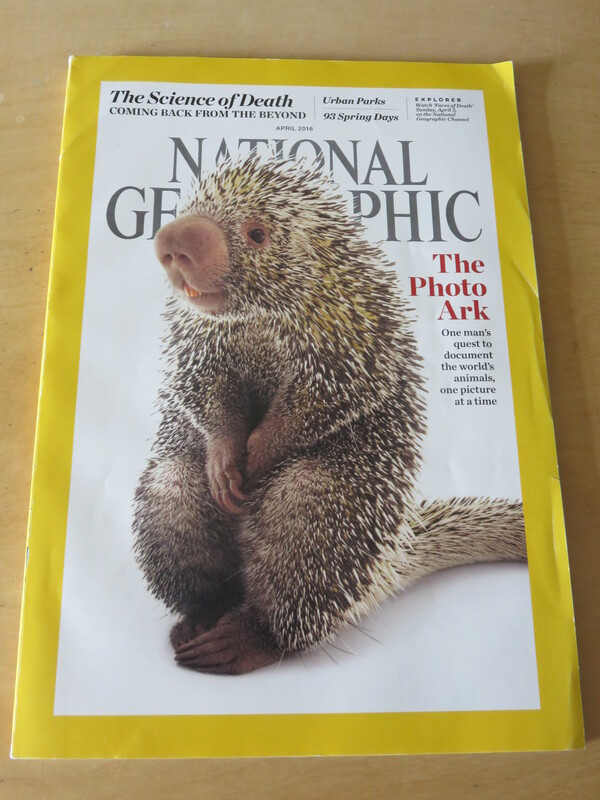 Brazilian porcupine was on the cover of the April 2016 issue, and Geo created 10 more for readers to select. Copyright Joel Sartore/National Geographic Photo Ark. But he wants more — something from us. His campaign #SaveTogether with the Geographic offers kids, their parents, teachers, and the rest of us with activities, books, and messages to take understand what extinction means — and to take action. We’re giving you access to many of the resources to use at home and in your community. Photo Ark Gallery – an alphabestiary of animals! Dallas Zoo (Dallas TX through Sept 4) After the traveling exhibition leaves in September, there’s a permanent installation of Photo Ark images in the tunnel separating ZooNorth and the Wilds of Africa. 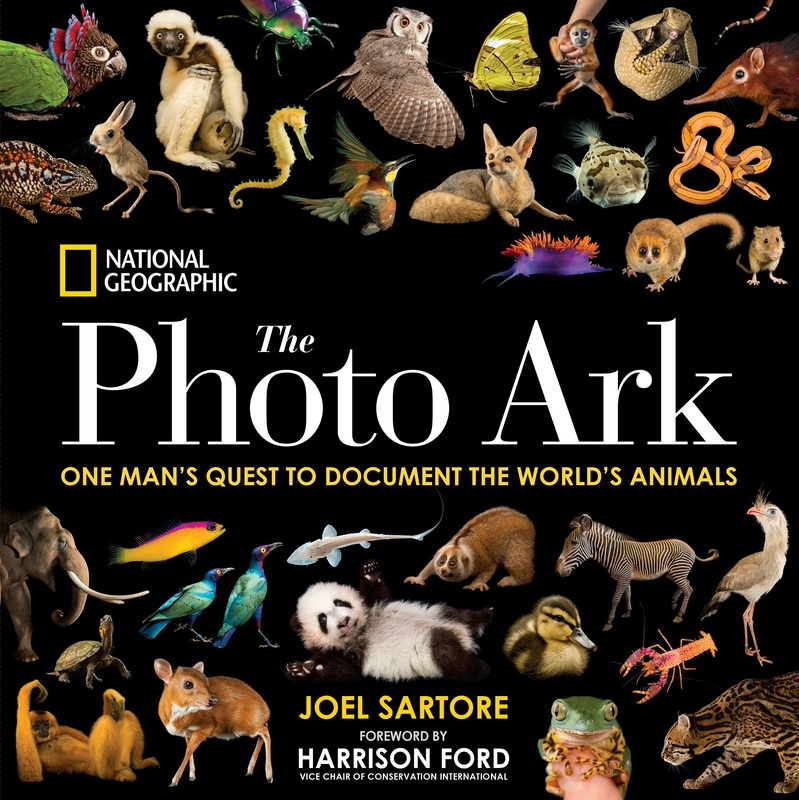 THE PHOTO ARK: One Man’s Quest to Document the World’s Animals (National Geographic,400 pages; $35).